Dorothea and Leo Rabkin lived in the Chelsea district of New York City, in a house filled with art, for almost fifty years. 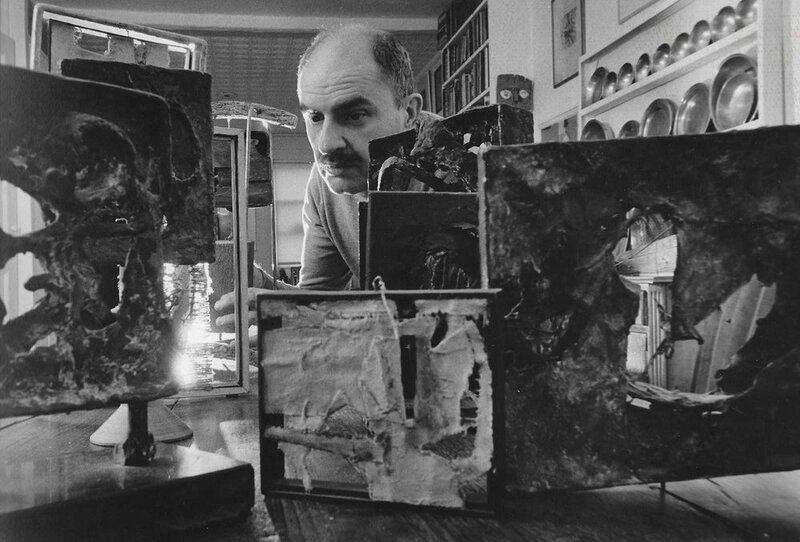 Leo Rabkin (1919-2015) was born in Cincinnati and came to the city to study art after his service in World War II. Dorothea Herz Rabkin (1921-2008), grew up in Berlin, Germany, frequenting the city’s museums and galleries with her father and twin sister until their Jewish father became a target of the Gestapo and died early in the war. Dorothea and Rose were hidden by courageous families, shuffled from house to house, often separated, but they survived the war and immigrated to America in 1949. 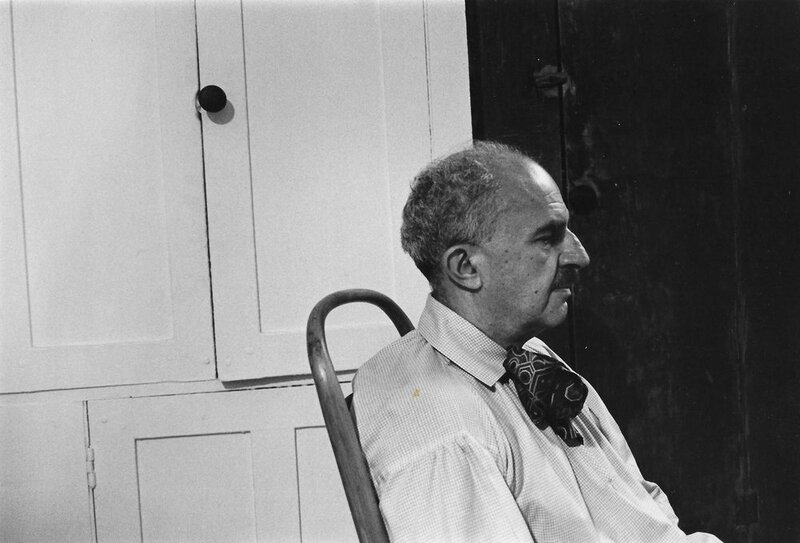 Dorothy Pearlstein, wife of the artist Philip Pearlstein, introduced Leo and Dorothea Rabkin to one another in January of 1958. The Rabkins married in the summer of 1958 and set up housekeeping in SOHO, between Little Italy and Greenwich Village, then an artists’ enclave relatively easy to afford for a young couple. Leo Rabkin studied art at New York University with Hale Woodruff and William Baziotes. His early work features dramatic torn and stitched canvas in the spirit of Abstract Expressionism. Leo had a second major in counseling and found a position as a special education teacher in a public school devoted to troubled adolescents. While other teachers found his students disruptive, Leo Rabkin encouraged their artistic instincts and also taught them typing, a useful focus for the mind and hands that offered eventual employment. He remained in that post for fifteen years balancing his art career, teaching and a passion for art collecting that he shared with Dorothea. 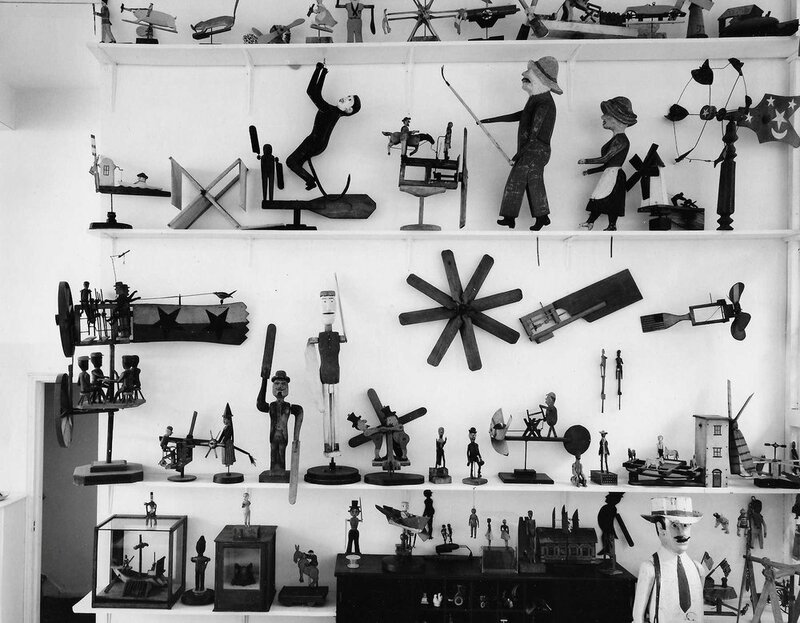 The couple became prominent in New York art circles for their landmark collection of American folk art. Eventually numbering more than a thousand objects, it featured many whirligigs, complex sculptures that move in the wind depicting people doing daily activities. They started collecting soon after their marriage in an era when so much material was available that they had to narrow their focus. They decided to specialize in work involving people and eventually created a collection that told a deep and broad story of American life. Dorothea had a special place in her heart for people who endured injustice and hardship. She valued the raw and the powerful voices of artists who revealed the pain of racism, the brilliant insights of artists with disabilities, and told spirited, sometimes humorous stories of rural America. 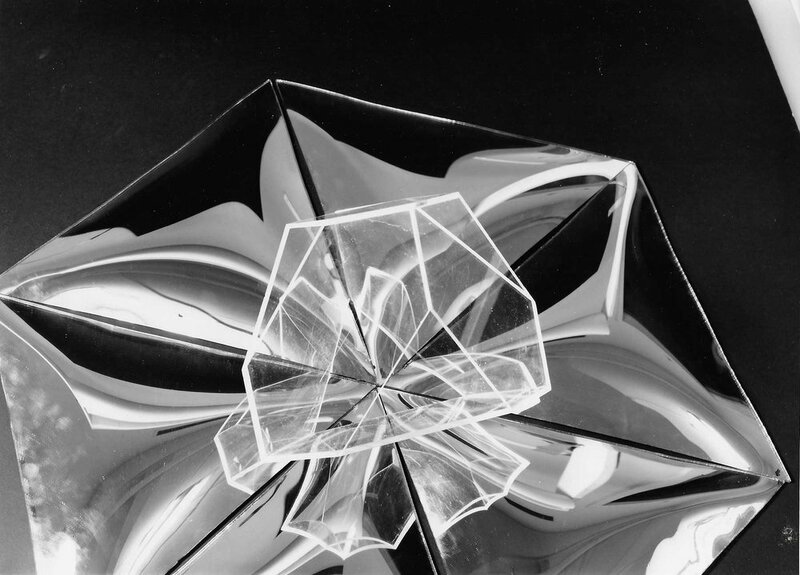 Leo Rabkin’s career as an artist took off in the 1960s with the debut of his Lucite and plexiglass boxes. He showed at the Richard Feigen Gallery and the Howard Wise Gallery and was featured in the prestigious annuals at the Whitney Museum of American Art. 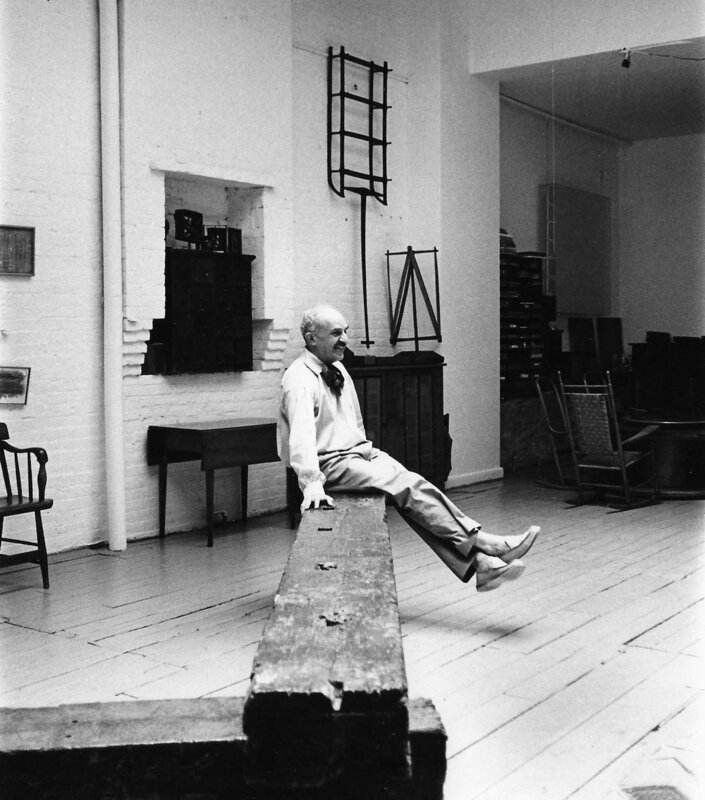 Rabkin’s work entered many museum collections during this period. He also became president of the American Abstract Artists group and served on the Mayor’s Council on Art. The couple had many artist friends and enjoyed entertaining, especially after a move to Chelsea in the 1960s afforded them space to display both Leo’s work and the sprawling collection of folk art. A coveted invitation to their annual New Year’s Eve party would often allow friends to spend time with such art world figures as: Ad Reinhardt; Richard Lindner; Louise Nevelson; Isabel Bishop; Una Johnson; John I.H. 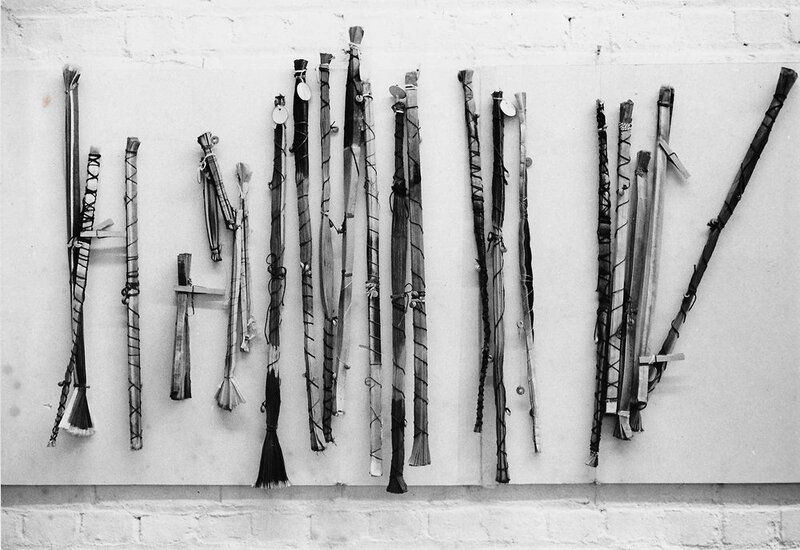 Bauer; Betty Parsons; Stephen and Naomi Antonakos; Eva Hesse; Sol LeWitt; Ruth Vollmer; Tom and Jane Doyle; Susan Smith and Stephen Rosenthal; Vicky Goldberg; Marilyn Pearl; Robert Buck; William Agee; Robert Ryman and Merrill Wagener; Richard Francisco; Vica Emory; Pepe Karmel; Grace Glueck; Robert Bishop; Herbert Hemphill Jr.; Luise Ross; Lucy Lippard; Alicia Legge; Avis Berman and many, many others. Several major exhibitions of the Rabkin’s folk art collection led to a series of donations to the American Folk Art Museum in New York City. With Dorothea’s passing from Parkinson’s disease in 2008, Leo dispersed the remaining folk art collection to the High Museum in Atlanta and to other institutions across the country. In the 2010’s, Leo re-focused on his own art-making and began a project he called “WHIMS.” He took a group of international postcards the couple saved over a lifetime and transformed them with additions: stitching; drawing; beads; stickers and photographic collage. From his home in Chelsea, Leo sent the little works of art out in the mail to friends, acquaintances and also virtual strangers. He had a sequence of three one-artist career survey shows at the Luise Ross Gallery in 2012, 2013 and 2015. They were well received and reviewed broadly. In the summer of 2014, the American Abstract Artists group staged a tribute show to Leo Rabkin at the Sideshow Gallery in Brooklyn. Ninety-five-year-old Leo gave an hour-long detailed account of his working process to this group of younger artists. He rehearsed for a week and didn’t miss a word of his elegant speech. According to the plan Dorothea and Leo created in 1999, the work of their foundation began in earnest after Leo’s passing in early 2015. The Rabkin’s spirit of openness, sharing, fun, and respect for all people, serves as a guide for our programs and future activities. All Photos © Gwyn Metz unless otherwise indicated.